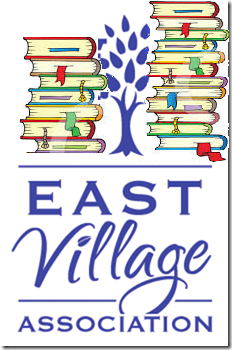 Gather your team now for the East Village Association's second library fundraiser, a Sept. 25 charades competition. Teams of four will “act out” book titles without speaking, while other members of their team try quickly to guess the title. “West Town Literary Charades Madness” runs from 6 to 9pm at Roots Handmade Pizza, 1924 W. Chicago Ave. The final four teams, with the fastest completion times, compete for the crown of 2014 West Town Champions. Winners will receive prizes from local businesses and sponsors, plus bragging rights for the year. Proceeds from this evening’s event will be directed to future programming at the West Town Branch Library. Event proceeds help library staff offer free programming that would not be possible without local fundraising efforts. This year’s programming goals includes expansion of a children’s chess program that teaches beginners and pairs intermediate and expert players to challenge one another. The branch plans more hands-on events like last year’s spice workshop by Steven Tobiason, owner of Epic Spices; documentary film screenings; book readings with local authors, historians and documentarians; and music performances for young children, teachers and parents. The West Town Branch offers monthly book discussions for adults and tweens, and conducts a regular toddler story time for ages 18 to 36 months and a lap-sit story time for children 6 to 18 months. On the ground floor of the historic Goldblatt's building at 1625 W. Chicago Ave., the library opened Sept. 11, 2010 and is an integral part of East Village and the West Town community. It occupies 13,300 square feet of the building in a beautiful, loft-style space that houses more than 50 computers for adults, teens and children, and a group study room. Children's and adult reading areas provide a comfortable, contemplative space overlooking busy and bustling Chicago Avenue. Their collection reflects the diverse and multi-cultural population with books in Spanish, Polish and Ukrainian. This branch circulates more than 9,000 materials every month and serves an average of 2,500 patrons each week in person. Direct services to early childhood, school-age and teen children total nearly 1,800 participants a year and the programs continues to grow. For more information on the event, write evafundraiser@gmail.com. Register a team, purchase tickets or make a donation here.